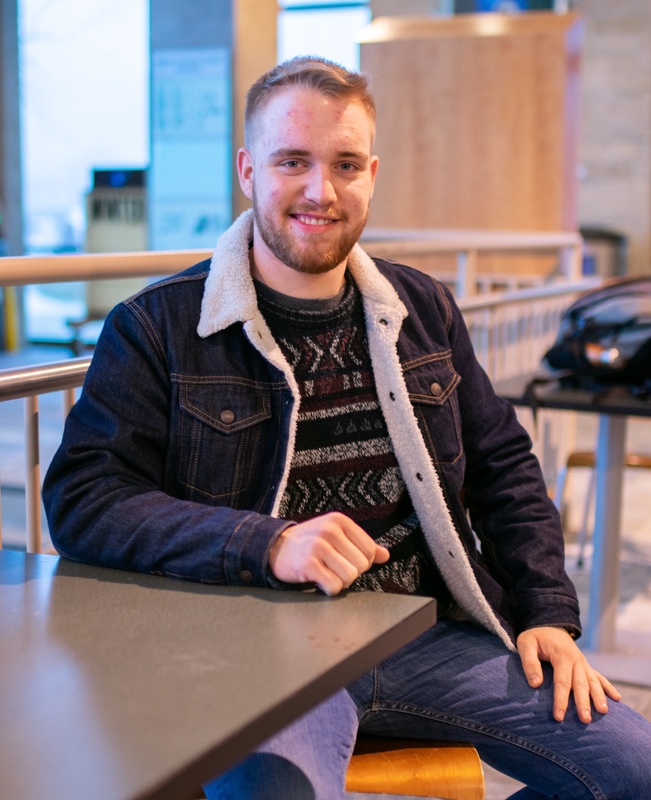 Last week’s deep freeze may have made Lawrence feel like a mini Siberia, but junior Zach Fithian has the real scoop on life in Russia after his semester abroad in the fall. Through a program run by Bard college, Fithian had the opportunity to live with a host family and study in St. Petersburg, fully immersing himself in the language and culture of Russia. Structurally, Fithian did find the Russian university experience different from the average American one. “It’s less like our American campus system and more like there are different faculties for different specializations. So throughout the city there were different faculties of St. Petersburg State University, but it just depended on your major, so to speak,” Fithian explained. Through the Bard program, Fithian and several other students from across the U.S. attended the liberal arts faculty, where Fithian took Russian as a Second Language (RSL), as well as classes on Russian grammar, conversation and culture, academic writing, translation and phonetics. Additionally, Fithian took psycholinguistics and acting—all of which were fully taught in Russian. As one might expect, this was a somewhat daunting experience. However, Fithian was lucky to find that professors were in fact quite approachable and classmates helpful. Overall, Fithian’s description of classes with the liberal arts faculty of St. Petersburg State University did not sound unlike Lawrence: small, interactive and friendly. One such example was Fithian’s acting class. Initially, Fithian was intimidated, stating, “Most of [the students] had experience already with the professor and with doing acting, so they were all very energetic and participatory…they were also very comfortable with the professor and the professor was very relaxed, so there was a lot of slang Russian and it was a lot of vernacular Russian that’s not like what I’ve learned.” However, the professor was understanding, as were the students, some of whom spoke a little English and would try their best to explain particularly confusing parts of the class to Fithian. Along with the frustration of witnessing these less-than-progressive views, Fithian personally struggled with having to remain closeted during his stay in Russia. “I went there knowing that this was what I was going to have to do. I knew about it, and I knew it was going to be annoying, and it was annoying,” said Fithian, adding that this is one of the only factors which makes him hesitate to say he’d return to Russia for any long-term engagement. “I would love to go back long term if it weren’t for the fact of being in the closet. If I had to for some reason, or there was a good opportunity, I would do it and I would be fine, I would just keep watching my footsteps…I could be in different queer circles and be out there and be fine, there’s just more labor to it,” Fithian sighed. Fithian did find some hope in Russia’s situation, though, especially in working with an LGBTQ+ advocacy group there, as well as through going to one of the gay bars. “I was expecting it to be a lot more risky and dangerous, and I was surprised to see how it wasn’t. Which is not to say that the situation is good, which it’s not, but I think there is some sort of progress…that was interesting, because I think even three or four years ago that would not be the case.” Fithian also mentioned that the younger generation which he interacted with showed signs of progress, providing some hope for Russia’s improvement, slow though it may be.